Searching out new books from black authors – the raison d’être of this little blog – often feels like combing through the stars for alien contact. 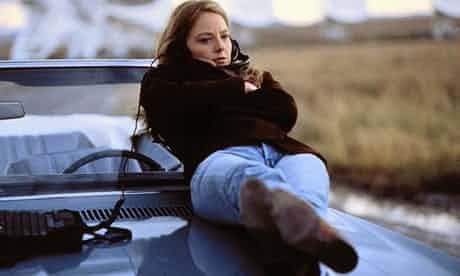 If you’ve seen the 1997 sci-fi film, Contact, you’ll remember Jodie Foster lying on the hood of her car, parked in the middle of a field of giant telescopes, her headphones on, eyes closed, listening to the skies. There’s an awful lot of noise out there, but she’s sifting through it, listening for a pattern, a rhythm, an alien signal. Jodie Foster is me. Except I spend my time scanning a mishmash of social media, blogs, daily papers, podcasts and FM radio, my ears and eyes perked for The Signal. That rare mention of a new black book. And when I spot it, like Jodie, I swing into action, racing to trace the message back to its source. Who sent it? Why? Is the referenced author established or a newbie? Which publisher? Genre? Release date? The level of excitement is like NASA finding ET. Here are the online spaces I like to frequent when I’m searching for new black books. OkayAfrica is a digital media platform focused on African culture, music and politics. I like to drop into the Arts & Culture section regularly to see which new African authors they have unearthed. Jessica Pryde is a professional librarian, writer and reader of romance novels. Her Twitter feed is stuffed with fantastic links and conversations. This insightful podcast is run by publishing professional, Jenn Baker. It’s real behind-the-scenes stuff, like standing at the water cooler eavesdropping as she talks about diversity with authors and fellow publishing professionals. Book Riot offers up a steady stream of book recommendations using cheerfully inventive titles like: 5 BOOKS FOR AQUARIUS READERS (THAT AREN’T BY WHITE MEN). The discussions are lively and impassioned as 20-somethings Alex Reads, Rai, and Derek Owusu explore the overlap between books, wellness and pop-culture. The WOC In Romance website was established by writer Rebekah Weatherspoon to promote women of colour writing romance. Her Twitter feed never sleeps, the woman is always busy ferreting out book suggestions for the masses. Well-Read Black Girl celebrates Black women writers past, present and future. The Instagram feed (@wellreadblackgirl) is a daily joy. It’s a non-profit, grassroots organization that advocates for changes in children’s publishing. I’m aware that the Americans are over represented in this list. I’d love to redress the balance. If you have a blogger/podcast/other recommendation from another part of the world, please share below.